California and Hawaii are leading the charts in the place for surfers. However, in the recent years, they encountered plenty of competitors. West Coast of Florida is the new frontier for surfers. Cocoa Beach has it all, white sands, wildlife-reach coastal dunes and unparallel Atlantic waves. The area has all the necessary infrastructure and yet is not overwhelmed with tourists and spring breakers. Cocoa Beach is regarded as East Coast surfing capital. This title is rightfully earned. It is an excellent place for the hard-core professional surfers as well as newcomers. The area has plenty of surfing clubs, schools where anybody can take Surfing 101, have a group training session or hire a professional coach. Cocoa Beach is ready to sell its expertise. The town regularly hosts massive surfing festivals like Beach’ N Boards Fest, Easter Surf Fest, Florida Surf Film Festival and the NKF Surf Festival. For those who want to explore the rich and vibrant history of local surfing, Florida Surf Museum hosts lavish exhibitions, events, and panels. Surfing vibe is present throughout the town including themed restaurants and gear shops. If surfing is the center of your world, you won’t be alone in Cocoa Beach. Ocean City is a jewel in the crown of the Jersey shore. It prides itself on having the cleanest beach and various entertainment venues in the proximity to the beach. Local waves are suitable for surfing year-round, while the climate is seasonal. If you are planning to surf here in fall or spring, you better have a cold water wetsuit prepared. This city is a famous tourist destination both locally and nationwide. It is crowded during the peak season in summer and occasionally on weekends. 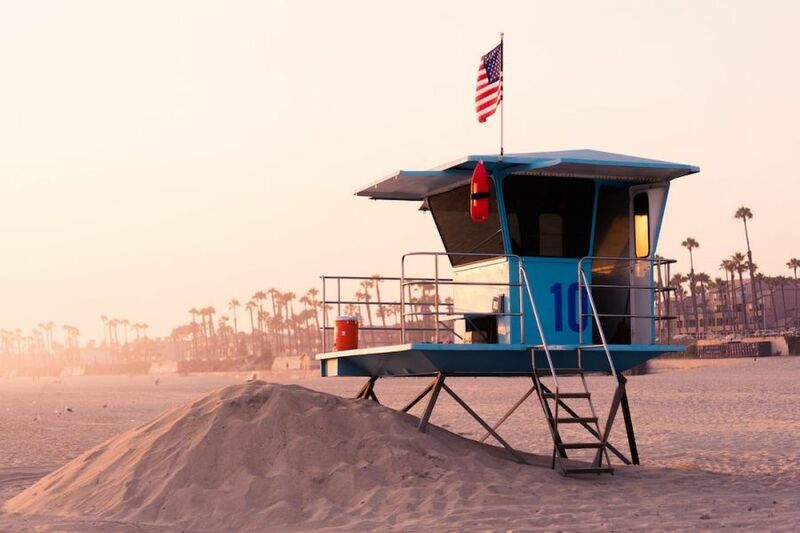 The beaches are adequately equipped and supervised by qualified lifeguards. Ocean City is a safe haven; you can rest assured that you will be saved in case of an accident. Ocean City is also considered a family-oriented resort, with various regulations that foster this image. There is a smoking ban at all the beach areas in the Ocean City. Additionally, the city is a ‘dry town,’ and you won’t be able to buy liquor anywhere within the city borders. Local authorities try hard to maintain the image of a decent and respectable tourist destination. 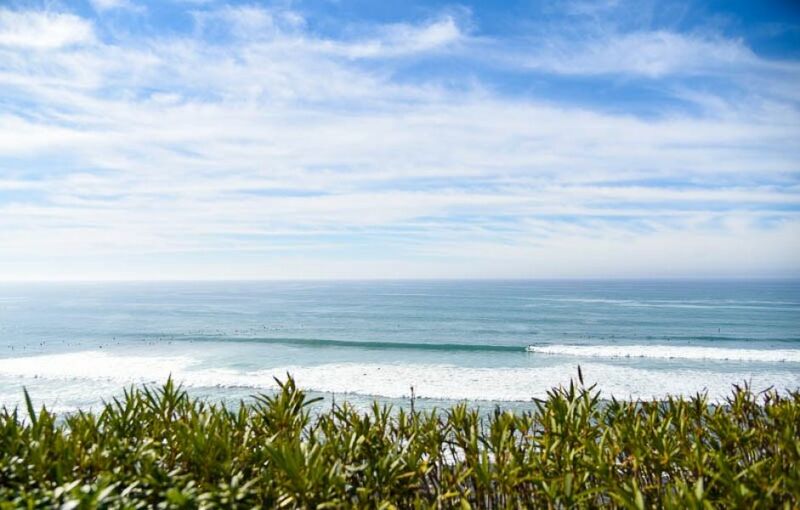 If you are tired from lousy tourists traps with crowds of people then take a surf vacation in Encinitas. It is a small beach town positioned right between Los Angeles and San Diego. It is quiet and bucolic, but have endless possibilities for outdoor activities and beach adventures. The beaches are close to the center of the city and easily accessible. Here you can surf, sunbathe, swim or relax on the beach with your friends and family. Local infrastructure is well-maintained and local amenities earned the high praise from many travelers. The city does not have a vibrant nightlife or abundance of entertainment venues, but a have a friendly down to earth community. A shelter from the hustle of the big world. San Clemente is a surfers village. Most local businesses are family-owned and serve the community. The beaches are clean, wide and can offer the best surfing experience on the coast. 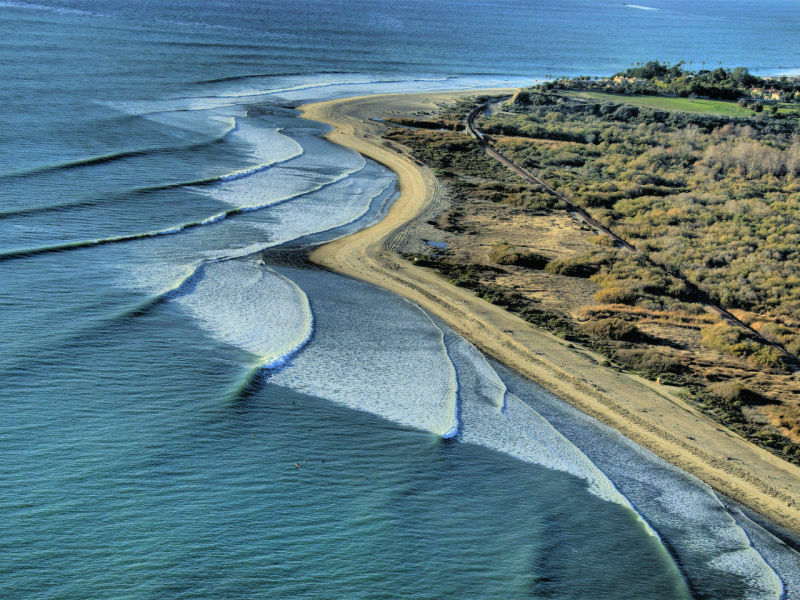 Residents of San Clemente are in tune with surfing philosophy. They are laid back, chill and generous. No wonder, local landscapes are the main attraction of Orange County. The town is also conveniently located halfway between LA and San Francisco. This place is also a great destination for backpackers. The local shore is marvelous and should be considered a national treasure. It is perfect for hiking, camping, and birdwatching. 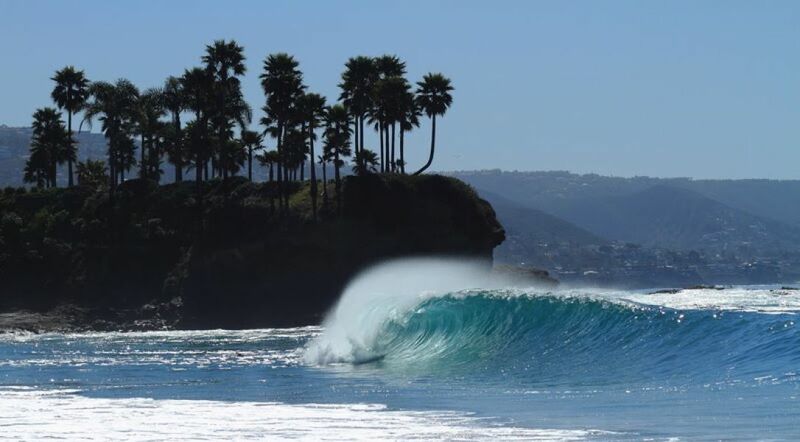 Check out the place and available surf vacaions options in San Clemente. 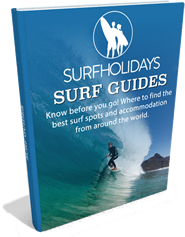 It will assist you in making an informed decision about your next surfing vacation. This city suits both surfers and avid nature lovers. La Jolla is the renowned center of the wildlife. It is famous for La Jolla Cove where you can watch the seals that settle here for the mating season. The diverse landscape with reefs and secluded havens offer a wide range of surfing conditions. You can pick a spot that fits your skill level. 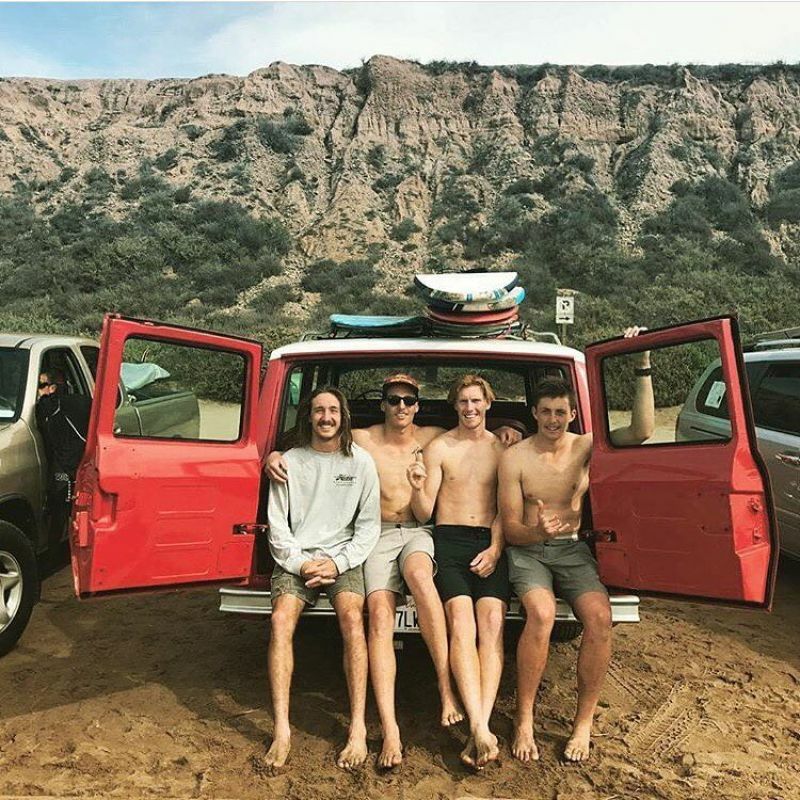 La Jolla Shores is a great starting point for beginner surfers who are just learning the craft. Here you can encounter more predictable waves and practice with beginners from the local surfing schools. In case you are a more experienced surfer, you can test yourself at the Black’s Beach and meet the highest waves of San Diego. Keep in mind that it is a challenging beach both in terms of surfing and accessibility. The only way to get there is hiking down the cliff. It is a tough road but it worth it. Surfing is the cornerstone of the local community. Huntington Beach grew and prospered because of surfing. It is part of the local history and culture. Surfers will feel very welcome and cozy here. The town is well-connected to the significant metro-areas with roads and interstates. The waves here can reach up to 8-feet. The city is bordering with one of the largest marine protected areas in the state, which serves as habitat for various sea mammals and various species of fish. There are plenty of places to visit in here. The housing is more expensive than the rest of the Orange County. However, the area is booming, and more and more affordable housing developments are planned each year. This coastal city is the perfect combination of cozy neighborhood, high waves, and available infrastructure. It is located right in between Santa Barbara and Los Angeles. This city is an ideal destination for those who want to enjoy surfing and social scene at the same time. Great waves don’t mean that you have to be secluded in the coves. In Ventura, you can get to the big city in a matter of minutes. There are no seasons in California; you can enjoy the perfect weather year round. The soft Mediterranean climate is very predictable, and you won’t even need to check weather reports. Hawaii deserved a spot in every tourist ranking, and not just for great surfing options. It is an excellent place for sightseeing, experiencing culture and nightlife. It has 750 miles of shoreline and plenty of opportunities for water sports. Hawaii has some of the best boogie boarding surfing and windsurfing spots in the world. Honolulu is the capital of beach sports. You can find waves of all the shapes and colors. Visit Kewalos if you are surfer-beginner. Alternatively, you can stop by Sunset Beach if you are confident in your skills. Surfers from all over the world are attracted to Honolulu. It is not surprising that it is one of the most expensive areas for surfing. Nevertheless, the prices are reasonable for such great weather and sea.